Canady, CEO of the charity National Philanthropic Trust UK, says ‘we do one thing; provide Donor Advised Funds.’ DAFs are an alternative vehicle for giving, setting up a foundation or investing in a charity. ‘You can set one up in 48 hours,’ says Canady, ‘name it whatever you want, and you get the tax relief when you donate the assets.’ The sole purpose of a DAF is to make charitable giving as financially and bureaucratically simple for the donor as possible. DAFs allow the client to focus all attention on where they want the money to go, while Canady’s works at maximising the amount. 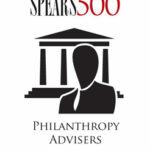 In the US, DAFs are the fastest growing charitable vehicle, outnumbering other charitable foundations by three to one, and Canady is optimistic that their success over the Atlantic will translate to the UK imminently. Many of NPT-UK’s clients are international UHNW’s and the charity provides a dual credit service, allowing charitable donations to be relieved of tax in both the UK and the US.